How did you get involved in The Good Thief? Neil Jordan called out of the blue. I was in San Francisco doing Sam Shepard’s play The Late Henry Moss and he sent me the script and I read it. At first I didn’t totally embrace it. What was thawing me off was my own visual and experiential memories of what a heist film is, what a caper film is, what a casino film is. These are lines that have been covered many, many times. Even though my character Bob was an addict in it, I didn’t see necessarily how that interrelated, because I didn’t truly know what a gambler was. I have that quality in me – I am a gambler in a lot of ways, but I didn’t know specifically what it was. So Neil visited and we talked. When I went to dinner to meet Neil I was on crutches! was ripped and the calf was blown out. I was able to strap the leg up and ice it before I did the first act with Sean Penn. I was off the second act and we’d ice it again. And then I’d go back out and grin and bear it for the third act. What does ‘going to work’ on a character involve for you? Your character undergoes an astonishing physical and mental transformation during the course of the film. There’s a gentlemanly quality to Bob, a charm that is very seductive. As a remake of Bob Le Flambeur, The Good Thief belongs to a tradition of caper movies. Why are films about con-artists and heists so enduringly popular? Well I think The Good Thief is questioning the basic nature of reality. You have the fake and the real robberies, and the fake is just as real as the real. The basic nature of life is arbitrarily deciding what is real. It’s a consensus deal, and the minute you behave outside the consensus, you’re a subculture, a bohemian or something else. Reality is far beyond what our self believes. Our self is about stacking up experiences and memories. But by storing a memory you alter it. It’s great fun to alter those things, because the base story of who you are becomes this fantastical lie. Does this then mean that becoming more mature, and having more life experiences has made you a better actor? ‘The thing with experience is that there is a culture that likes to disregard experience. The stacking of experience is what the self is made of. We start out relatively blank with some genetic tendencies. The experience itself activates what the genetics will be: if you don’t activate them, those genetics won’t really come through. The whole idea of self is a slow-building process through life. We have certain experiences that disintegrate the whole self. We have these breaks, which I could tell you are periodic and cyclical. A reorganization every seven years, where consciousness has to make a whole shift. These breaks are painful, because we lose our grips and we get shaky. That’s the great pattern of life, that vulnerability. Learning takes place when there is some kind of threat. Optimum learning has to have an element of life threatening in it. Not so much that we stay stressed constantly, because then the cortical overwhelms us but enough stress that we’re propelled to figure out a way to survive. Then our dendrites increase tremendously. weary teenager. What was it like to act opposite her? James Coburn passed away recently. 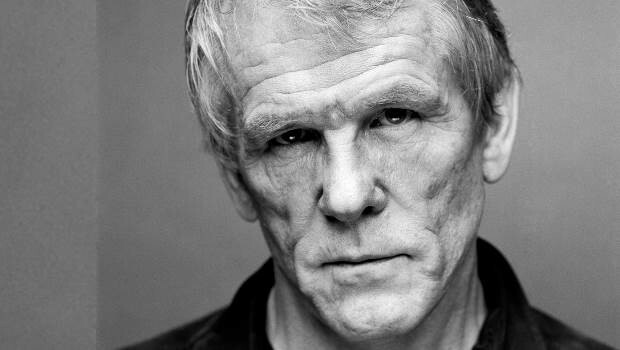 What was it like to work with him and Paul Schrader on Affliction?